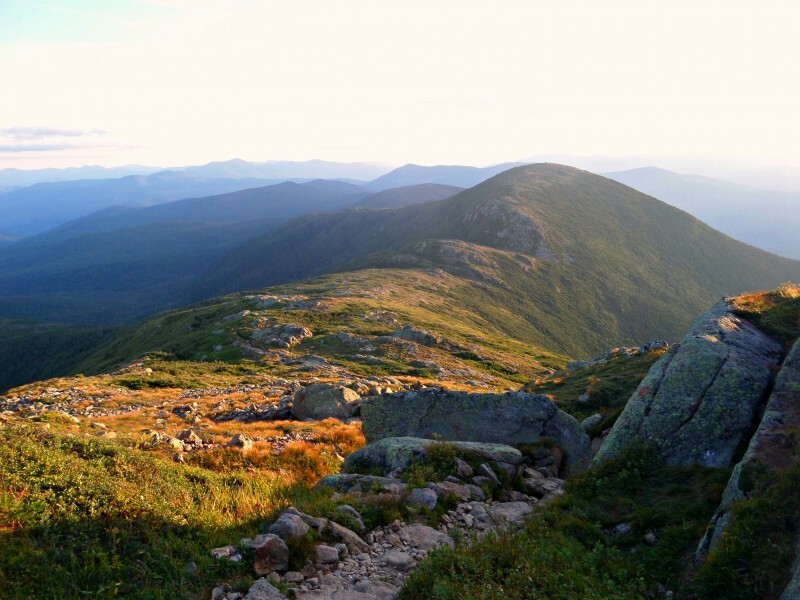 A true test of strength and stamina is New Hampshire’s rugged Presidential Traverse. 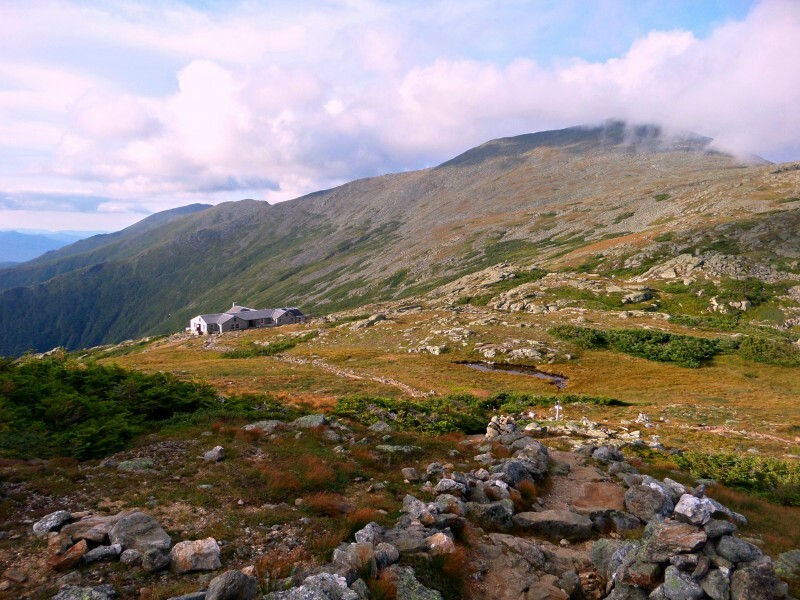 It spans a minimum of 19.8 miles, has 8,500 feet of elevation gain, and is mostly above treeline. 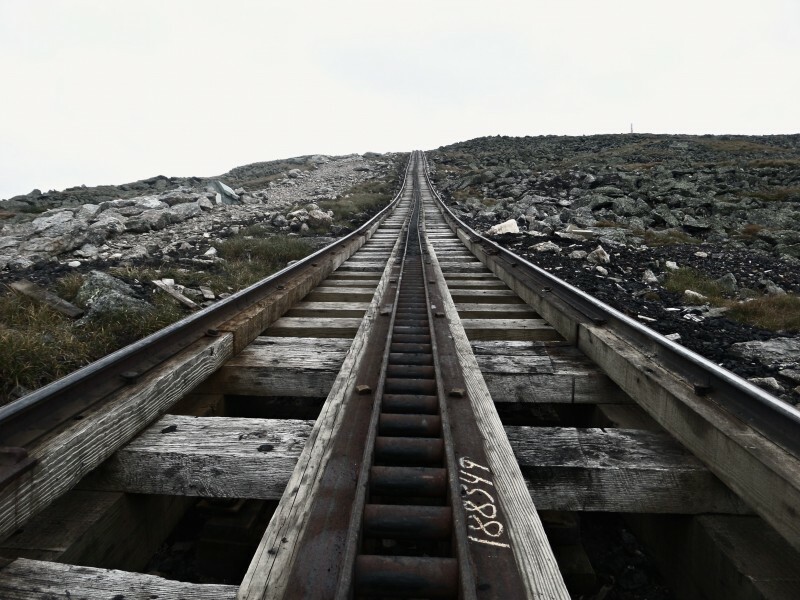 A Presi Traverse is often called a death march due to its difficulty. An extended Presidential Traverse includes Mt Jackson (4,052′) for a total of 21.7 miles and 8,800 feet of elevation gain. Jackson is named after a New Hampshire geologist so it isn’t officially part of the traverse. It is a beautiful summit and worth the extra mileage if you have it in you! Presidential Traverses are often hiked from north to south, getting the biggest climbs in while your legs are still fresh. The northern half is more rugged than the southern half so it is recommended to do all your rock hopping earlier on rather than when your legs turn to jelly. The traverse can be done in a single day or spread out over multiple days. For a one day Presi Traverse you should start before the sun is up. 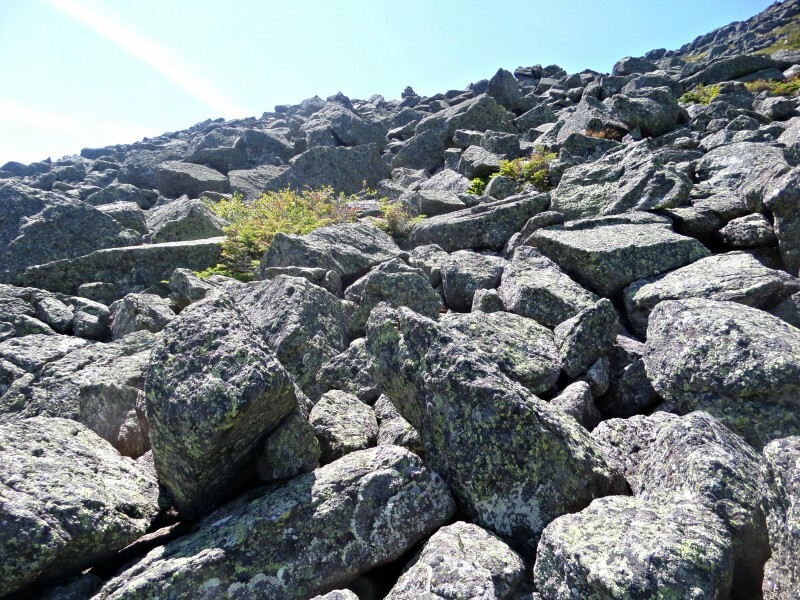 It is possible to hike a Presidential Traverse in all four seasons, but it can become very dangerous for those who lack proper weather tracking and route planning skills as well as those who lack proper gear or the ability to bail when needed. 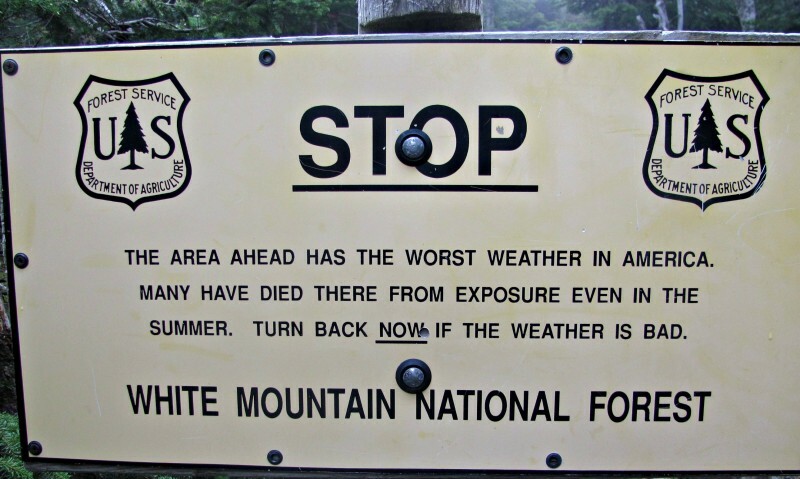 There have been many deaths in the Presidential Range, even in summer. 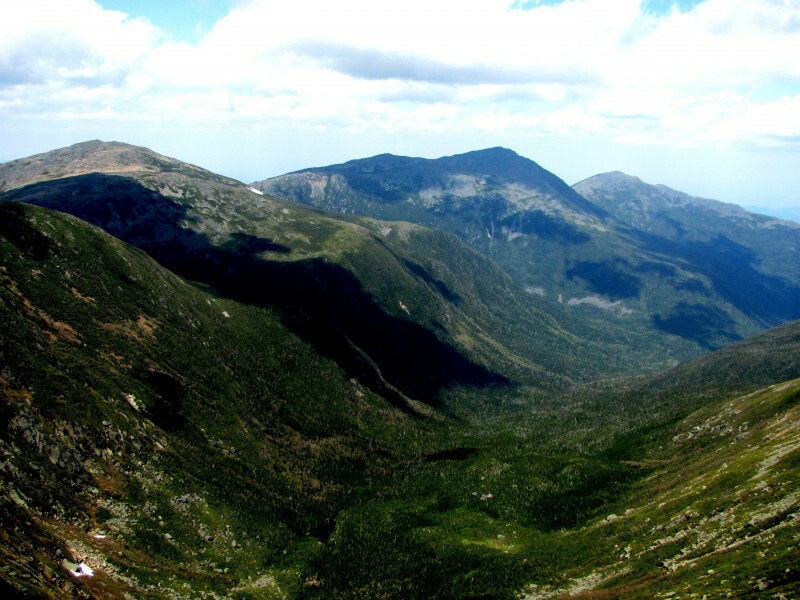 Though relatively low in elevation compared to popular hiking and mountaineering destinations such as the Colorado Rockies, the presidential range is susceptible to extreme weather. The range is along the convergence of three storm tracks that pass the northeast making this trek potentially deadly, even in summer. 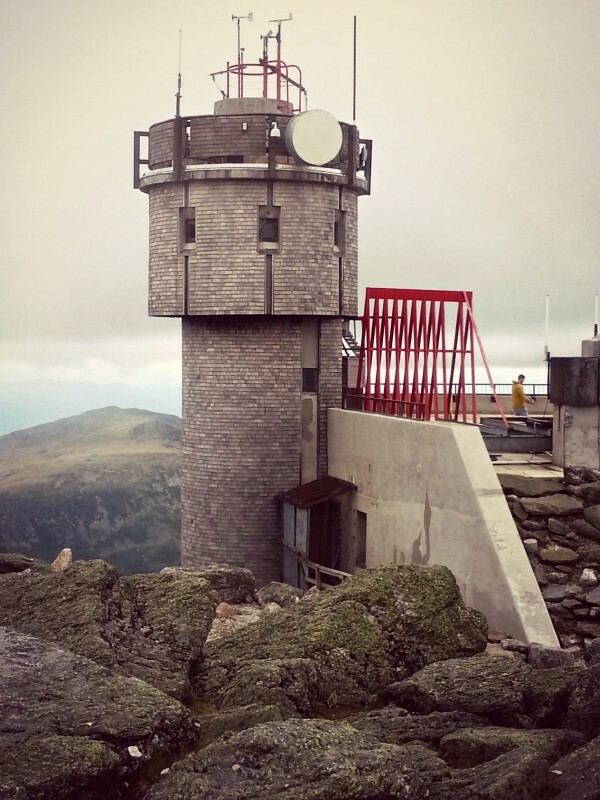 Mount Washington is known as having the “world’s worst weather” with a record wind speed of 231 mph. The surrounding peaks are 500 feet shorter (or more) so winds come at full force. When planning a Presidential Traverse, think safety first. Look at multiple weather sources before you go. I rely on the Mt. Washington Observatory for up to date and accurate weather. Mountain Forecast is another great weather resource. I also look at NOAA‘s weather information and compare all three sources when planning. Before you hit the trail, know your bailout points in case you run into unpredicted foul weather or cannot continue. Look up sunrise and sunset times so you have an understanding of the amount of daylight you will have and approximately what you will be hiking by headlamp. You may also consider hiking during or close to a full moon, though much of the hiking by headlamp should be below treeline with an early start. My first traverse began at 4:45 am. 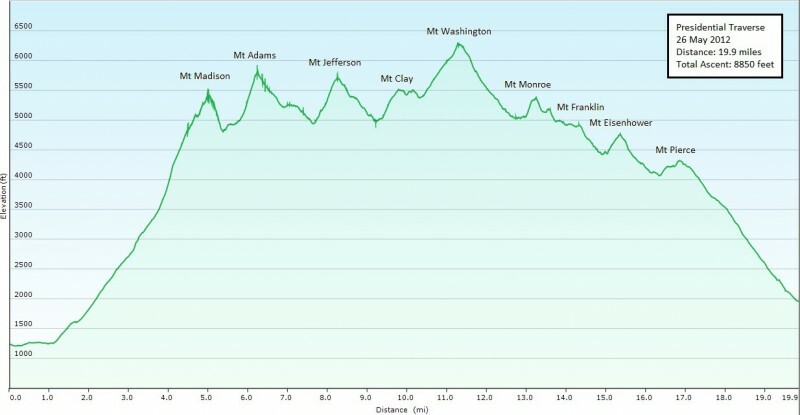 Starting at the Appalachia Trailhead, the first climb of the day is Mt Madison. The easiest ascent is via Valley Way. To the hut it’s 3.8 miles long and covers over 4,000 feet of elevation. A very tough consistent climb, but worth it to do first with fresh legs. Before ascending Madison, you can grab a snack or refill water at the Madison Spring AMC hut and check the forecast for any updates. This hut is seasonal and usually open the first week of June through the end of September. After a quick stop, you go out to the summit of Madison and backtrack to the hut to continue the traverse. You’ll switch up by heading down (and up, of course) the Gulfside Trail with beautiful views into the Great Gulf Wilderness. Bag Adams then Jefferson over a series of boulders and scree. You won’t find any graded trails here! After summitting Jefferson, you’ll continue on Monticello Lawn which is a beautiful grassy area located on the southern shoulder of Jefferson. Don’t stop too long as you still need to head south to Washington! Along the trek to Washington, you’ll hike over Clay. 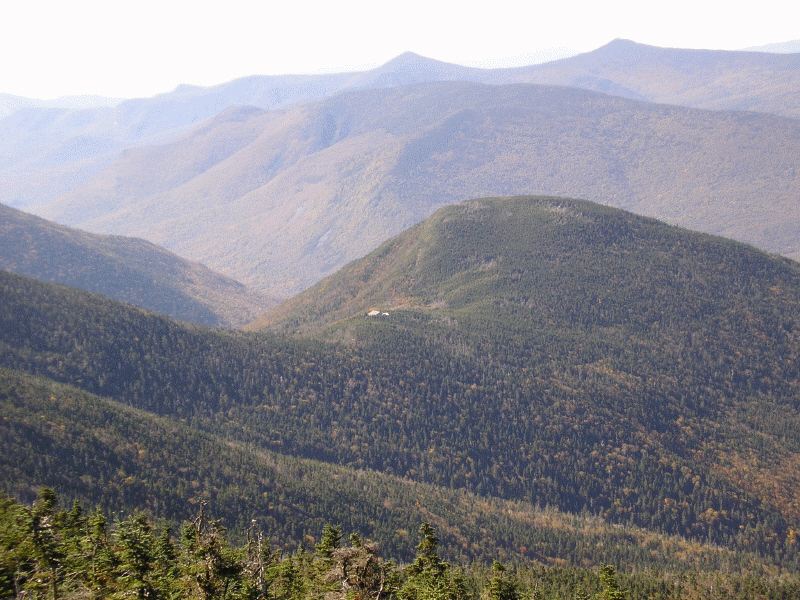 If you’re bagging New Hampshire 4000-footers, Clay and Franklin are not among the 48 peaks as it does not rise 200 feet above any ridge connecting it to a higher neighbor. Enjoy any peace and solitude as you ascend Washington as you will likely run into crowds atop. Flip flop wearing, baby carriage pushing, selfie taking tourists typically overtake the summit after they’ve made the .1 mile journey to the summit sign from their cars. You may need to plan a strategy to get your summit photo as the line is typically long. I suggest skipping the snack bar inside and refueling in line to save time. Head inside to replenish your water and if you’d like to indulge, use a flushing toilet. It’s all down hill from Washington! Well, mostly anyway. The terrain eases up a bit as well, but don’t hold your breath looking for dirt paths. 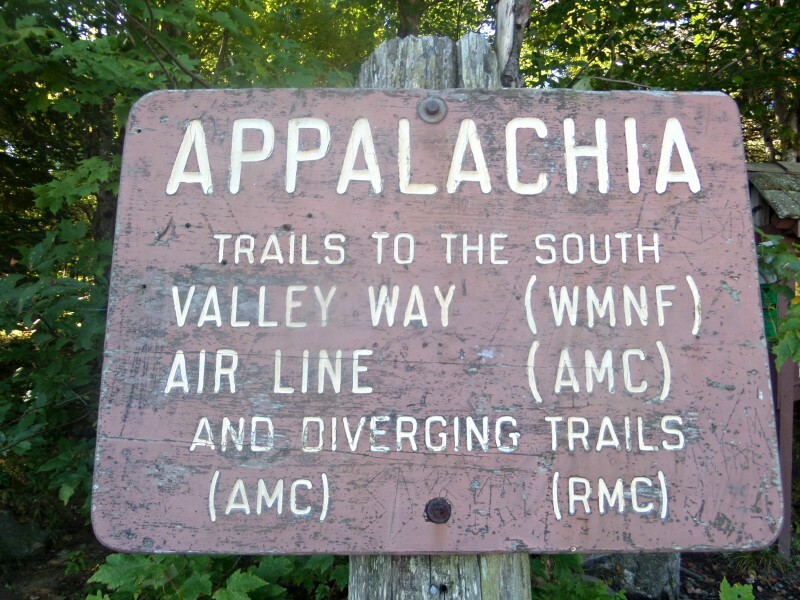 You’ll continue in the southern Presidential range via the Crawford Path, the oldest continuously maintained footpath in the United States. 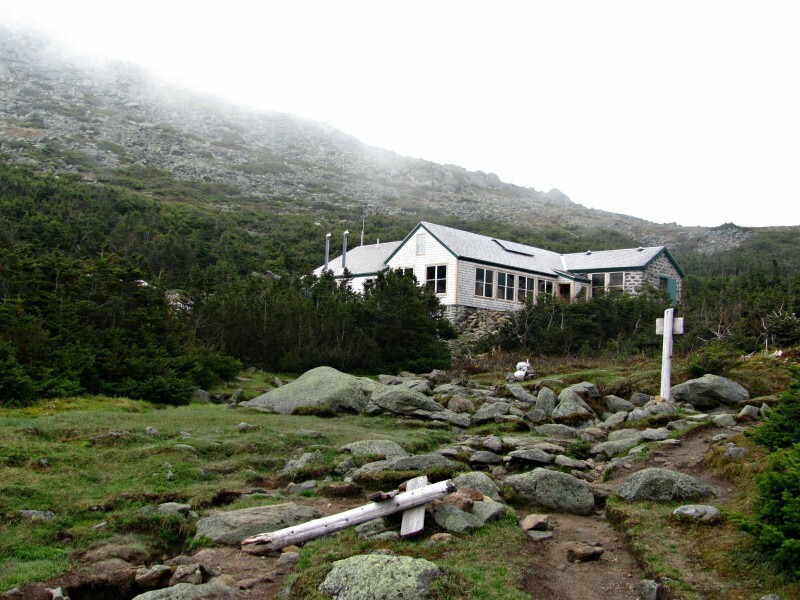 You’ll pass the Lake of the Clouds Hut where you can stop in (if you can beat the crowds!) and fill your water. 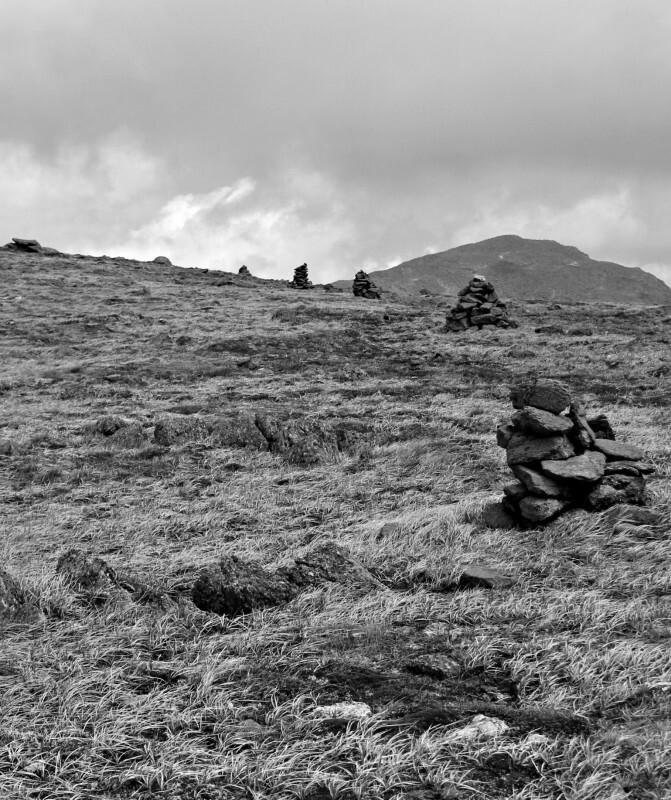 Mount Monroe is just past the hut. Though still rocky and covered in roots, the trail becomes easier as you continue over Franklin, Eisenhower, Pierce and Jackson. When planning a one day traverse, start early, mentally and physically prepare, and know your limits. An understanding of how far you can push your body will lead to a successful hike, even if you need to change plans and bail. Splitting the route into a Northern and Southern Presidential Traverse is always an option. Valley Way Campsite: located on the Valley Way Trail 3.1 miles from the Appalachia Traulhead and .7 miles before Madison Spring Hut. 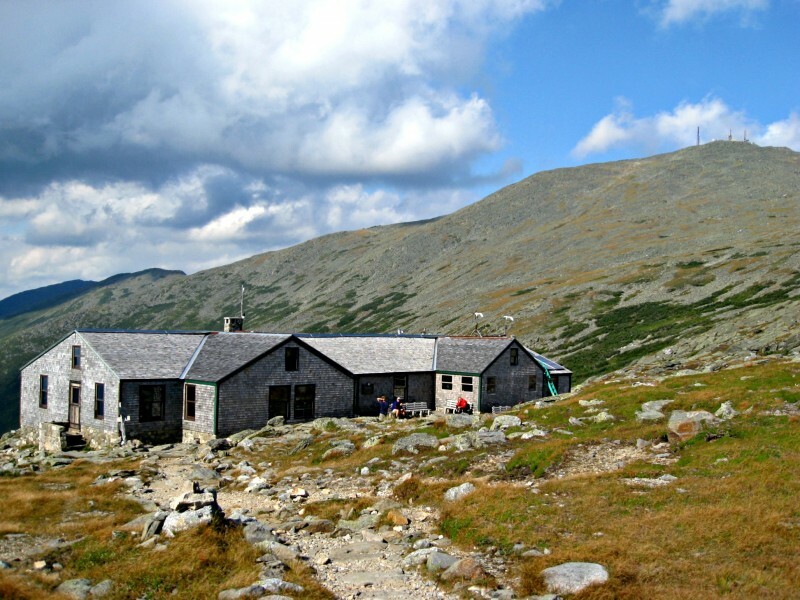 Madison Spring Hut: located on mile 3.8 before the summit of Madison. You could choose to hike up and summit Madison day one and stay at the hut after. Randolph Mountain Club: Grey Knob Cabin and Crag Camp Cabin are located off route around mile 6 along Thunderstorn Junction. RMC also has a tent site and Perch shelter a mile further. AMC Mitzpah Spring Hut and Nauman Tentsite: Located between Pierce and Jackson ~mile 18. There is also good camping on the Crawford Path once it enters into the trees. 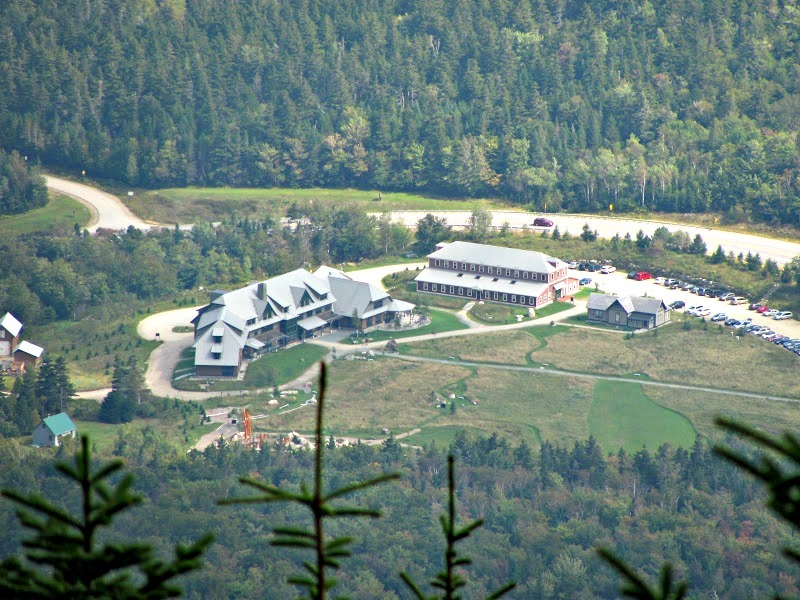 If you are looking for a rest after completing the hike, the AMC Highland Center (though expensive) is located at the finish if you hike southbound. If you are hiking solo or with one car you have a couple options to return to your vehicle. AMC does have a hiker shuttle but I have found the schedule very inconvenient for completing a Presidential Traverse. I have stayed at the Highland Center and took the shuttle the following morning. There is a Trail Angel shuttle service that you can schedule a ride with for a fee. Wow. Great resource! I’m hoping to do the traverse over 4th of July weekend. Thanks for the weather recommendations! Both death March AND dream hike. My daughter and I did the one day and stayed at Highland Center Lodge after. Then the deadline became the cafeteria closing time rather than any waning daylight. With no car for the evening I would have been bummed to have Cliff bars for dinner. I love these long difficult hikes. Plus the views are pretty incredible. Doing the Bonds with Zealand, Hale, and the Twins as a two day adventure is amazing! The Pemi loop is something I haven’t done yet. Maybe eventually. Hike on! Agree on the hiker shuttle. We wanted a ride back to Apalachicola mid morning so we could rest and get a good breakfast. First shuttle we could get was after 1 and it’s slooooow. I’ve hitched a ride after a Presi traverse twice as the additional cost of staying at the Highland Center and paying for a ridiculously slow shuttle is not worth it. Is there a campsite near Lakes of the Clouds Hut area? We don’t want a hut or a lodge, we want to backpack and do entire +20 miles over two days and one night. I just purchased map today. No camping above tree line, it’s the huts, or nothing, sorry. They aren’t cheap, $109’for a AMC member, but with dinner and breakfast, you carry little food ( lunch snacks clif bars, ect.) so, it worth it. I have done it twice over three days, once each way, and with the light pack, it is great. Great post! Planning on doing a 1-day traverse this summer. Thanks. GREAT info on the Presidential Traverse. Is it possible that I can call you to ask some questions? I am planning to do it with my son next Wed. Thanks! Hi – I’m planning on doing this next week. Have some general info questions. Thanks! Hi there – What questions do you have? Hey there, great article. 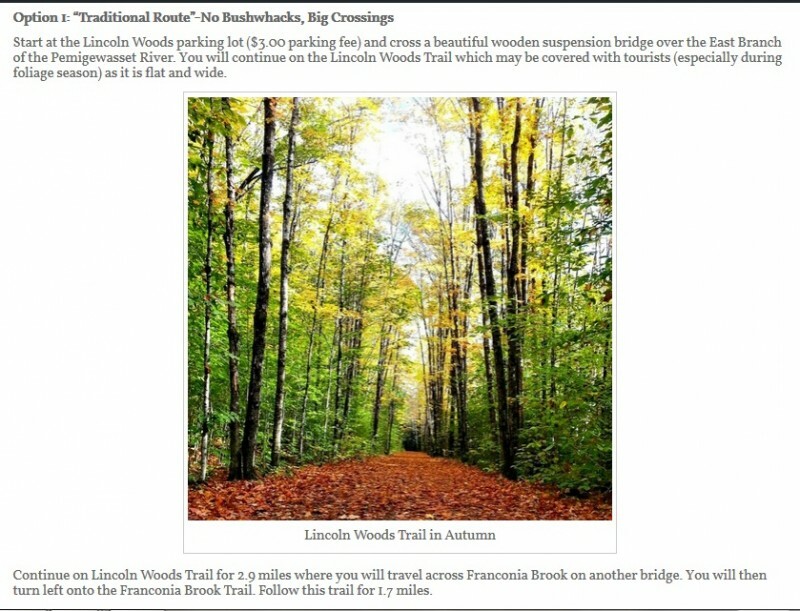 Was thinking of doing a two or three day trip, including the Presidential traverse and was hoping to make a loop back to my car at the Valley Way parking area. Anyone have any advice for the return trip?